Social Security Disability (SSD) can be a life-altering, or even life-saving, tool for many people and their families. If you have become disabled recently, or have been living with a disability for a long time, you may find considerable financial relief in pursuing SSD benefits. However, not all impairments fall under the Social Security Administration’s (SSA) list of accepted or qualifying impairments. There are different criteria depending on whether you are trying to qualify yourself as an adult, or trying to qualify yourself or your child under the SSA’s childhood listings. There are 14 adult listing categories for impairments, according to the SSA. There are many specific types of disabilities and injuries within each category. Below, a general description of each category is provided. However, this is in no way a complete list. 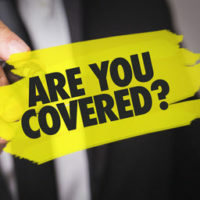 There are thousands of different kinds of disorders that can qualify for Social Security Disability benefits, and it is necessary to speak to an attorney to learn more about the process and whether you have a chance at qualifying. Musculoskeletal system disorders may be caused by a hereditary, pathological, or congenital process. The injury or damage could have been the cause of an infection, degenerative process, or traumatic event. Musculoskeletal disorders must result in a loss of function due to bone or joint deformity or destruction, fractures, soft tissue damage, or miscellaneous spine disorders. These disorders include blindness, both partial and total, as well as speech impairments. According to the Centers for Disease Control and Prevention (CDC), 37.3 percent of adult women have current asthma, hay fever, sinusitis, chronic bronchitis, or emphysema, while 24.7 percent of adult men have one or more of those conditions. However, to qualify for SSD benefits, your respiratory condition must be severe and there must be detailed medical evidence to prove it. A cardiovascular disorder negatively affects the circulatory system or heart, and includes both congenital and acquired disorders. Digestive system disorders include hepatic dysfunction, short bowel syndrome, malnutrition, and gastrointestinal hemorrhage and can lead to serious complications such as obstruction. Genitourinary disorders include hypertensive nephropathy, chronic glomerulonephritis, chronic obstructive uropathy, diabetic nephropathy, hereditary nephropathies, and more. A hematological disorder has to do with your blood, and can be non-malignant or cancerous. These disorders include thrombosis, hematosis, bone marrow failure, hemolytic anemias, and more. Skin disorder impairments include dermatitis, ichthyosis, chronic infections, hidradenitis suppurativa, bullous disease, and more. The endocrine system controls hormones, and impairments include disorders of the thyroid, pituitary, adrenal, and parathyroid glands, as well as pancreatic disorders. The attorneys at the Law Office of Michael Lawrence Varon law are here to answer any questions you have concerning Social Security Disability benefits and disorders that can qualify you or a loved one for these life-altering benefits. Contact our White Plains office today for professional assistance.